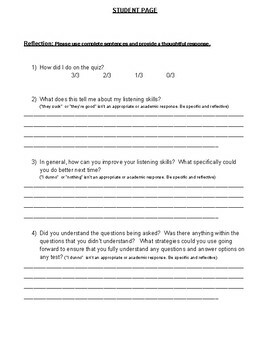 Modeled from the Common Core listening questions, this short activity has students listen to the Prologue, answer questions, and then reflect on their listening skills. 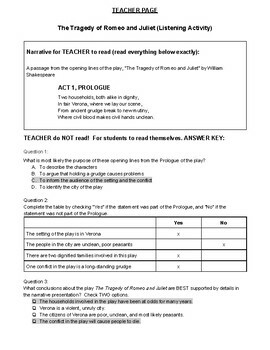 A teacher page & script is provided. 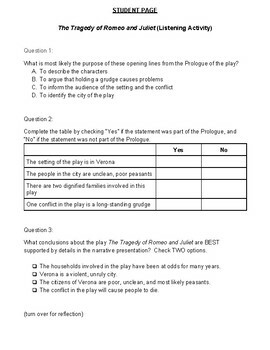 NOTE: Students should NOT read the Prologue before doing this activity!